An air raid shelter from the Second World War near Guildford is reportedly being considered for storing whisky – but there are some serious hurdles to overcome. According to local new sources, the Guildford council committee is considering an enquiry from an unnamed company that is said to be interested in using the facility to store whisky while it matures. The Foxenden Deep Shelter was built to accommodate 1,000 people during the War but was closed to the public in 2010 with occasional flooding and bad electrics among the reasons why it was considered unsafe. Furthermore, the shelter was gifted to the council as a charitable trust with covenants stating it must not be used for the sale, production or consumption of alcohol. These covenants can be changed but only after permission has been sought and after a lengthy consultation. 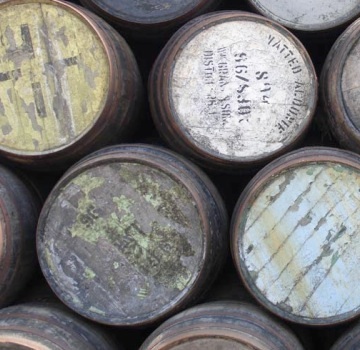 Should the unnamed distillery still be interested in using the 230 metres of cellar space if permission is granted, at least £70,000 of renovations to improve ventilation, lighting and shoring up load-bearing steel beams is thought to be needed. It is not the first time that old quarries and bunkers have been considered and indeed used for storing wine and whisky of course. From the old Roman chalk quarries in Champagne to the old quarry in Somerset used for fine wine storage by Octavian, underground facilities with their excellent natural conditions for keeping wines and spirits makes them of great interest to drinks companies.